Back when I had my first launch we called them business plans, and they were just as essential then for raising funding for a new idea – although at that time, funding probably meant a bank loan something similar. Many things have changed, but the fundamental idea of presenting your business idea on paper has not. If your startup requires forward investment, then you need to persuade people that you are investable, and that those who support you financially will receive some kind of return for so doing. That you have a viable plan for converting their money into greater sums of money, in other words. You have a new and better solution, to a specific problem – and both the problem and the solution need to be clearly defined. If you are running an Initial Coin Offering (ICO) to raise funds for a blockchain startup, it’s exactly the same thing. You are simply crowdsourcing your business investment on tokenised basis, and effectively seeking the backing of thousands of small investors at once. It’s a different proposition from impressing a bunch of VCs or a single bank manager, and the way your ideas need to be presented and conveyed is different too. 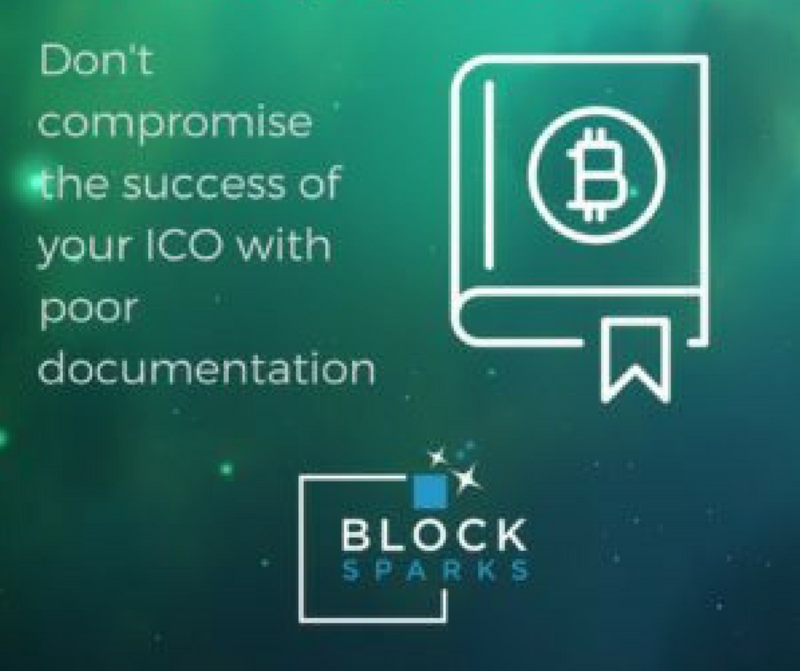 The way most ICOs are presented to prospects is via the publication of a whitepaper, which serves the purposes of a B2C business plan and brochure – introducing the ideas behind the launch, the problems it solves, how the solution will be achieved, and who is going to make it happen. 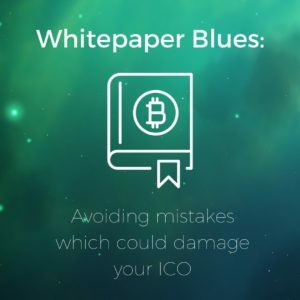 The explosion of ICOs on the market over the past 18 months or so however has highlighted some vast variability of quality in this documentation, and this is big mistake when you consider that it is the primary vehicle by which a prospective investor will make their decision. Are you clearly connecting with a real-world problem? Your whitepaper should start by making it 100% clear exactly why your product is needed. Just because it seems obvious to you, that might well be because of specific industry experience, cultural context or other niche knowledge, which makes it all to easy to take for granted the bigger-picture understanding. Why limit your potential investment pool to those who already understand the pain-points of your particular business or area of specialisation? The beauty of the global community is that you can involve a vast network of potential interest, but only amongst those you can infect with your vision and enthusiasm. By using the introduction of your whitepaper to contextualise the pain-point you are addressing you can paint a vivid picture of the need, and why your project is the solution to address it. Try re-reading your introductory sections – or better still, get someone unconnected with your organisation to do so – and make totally sure no-one could possibly be left either uncertain about what the challenge is, why the solution is needed, or why your launch is the best or only way to provide it. Is the rationale for a blockchain solution clear? Did you hear about the beverage company which stuck the word ‘blockchain’ in their name, and spiked their share price overnight? Does the problem you’re addressing specifically need the immutability and trustlessness certainty of the blockchain ledger? Is there a need to involve unbanked users, or those otherwise excluded from traditional business engagement or financial products? Is privacy or decentralisation fundamental to your business case? Does it present your business professionally? You don’t have to be a great copywriter or marketer to actually deliver your blockchain solution. But at this point in the process, you need to be able to persuade potential backers – effectively and engagingly – not just that your concept is sound, but that you have the credibility and authority to deliver on it. It’s not enough just to join the dots between their money and your vision, you need to do so in a way which provides reassurance, excites investment, and generates urgency. Poor spelling or grammar, inconsistent style and approach… Worst of all, plagiarised content (yes, this has been seen). All of this will doom your project to failure, whether the idea behind it is a sound one or not. This is where using an independent agency to copy-edit your whitepaper professionally can make all the difference, especially if your first language isn’t English (and wherever you grew up, we know that your favourite idiom might nowadays be code). You need to work with a writer who can understand and extract your vision based on your work to date, and help you craft that into into a compelling message with a strong call to action, whilst maintaining your unique tone of voice throughout. It’s not just about the words either. The elegant simplicity of Satoshi Nakamoto’s original Bitcoin whitepaper was the perfect stealth-weapon of change in post-crisis 2009, but despite the name, you’d be hard pressed to get away with a piece of white paper today. Nowadays the market is crowded, and as well as providing the technical background you need to regard your whitepaper as fulfilling the role of a sales brochure in many respects. So, professional graphic design can make all the difference. And a picture really can bring to life a complex process or concept – perhaps a well-designed infographic or chart, to illustrate a point effectively, or to demonstrate the planning and development of your product. It can also show rather than tell potential investors exactly where you have got to already, what you have built and accomplished. Who is going to ensure the success of the project? Sometimes you scan a whitepaper, and the ideas are all there, but there’s no team. Whose ideas are they, and who is going to make it happen? Investors need to see credible expertise backing the product, and this must be complete with links and references which may be contacted directly for authentication purposes. As the volume of blockchain launches increases, it becomes increasingly difficult to find a truly unique idea in any vertical – lots of people have ideas for solving the same or very similar problems, and for the market this is a good thing: healthy competition creates a better solution at the end of the day. One thing which can help you to differentiate yourself from your competitors is recruiting a solid team to deliver, and a further network of advisors to support them, and your whitepaper needs to highlight them and their role. A journalistic approach to profiling them effectively and asking the right questions can create a solid reassurance for potential investors, that a this is a team worth their backing. Everyone knows that backing a blockchain-based startup is far from a risk-free proposition – the technology is new, they cannot possibly all succeed, and there are staggering levels of uncertainty. However you owe it to your project’s potential to cover off all the uncertainties you can, amongst those which might arise in the minds of investors. And conversely, to avoid mistakes which will wave red flags and put people off long before your launch. For example, we’ve seen whitepapers which make no mention of how funds will be secured, or request them to be transferred to single-user wallets. We’ve seen promises that this exchange or that is ‘highly likely’ to be trading the token within weeks – but then the ICO process makes no reference to KYC or AML procedures. Just give us your money… We don’t care who you are or where it came from. How many ICOs do you plan to do? Don’t set yourself unrealistic deadlines, and make your plans and documentation absolutely solid by launch day. Your whitepaper is absolutely fundamental to the success of your business, and it’s worth investing in expert help to ensure it’s as good as it possibly can be.